Mezza9 is the main eatery in Iconic Hotel at Icon City. Located on the mezzanine level of this 4-star hotel, Mezza9 offers buffet dinner every Friday and Saturday evenings. 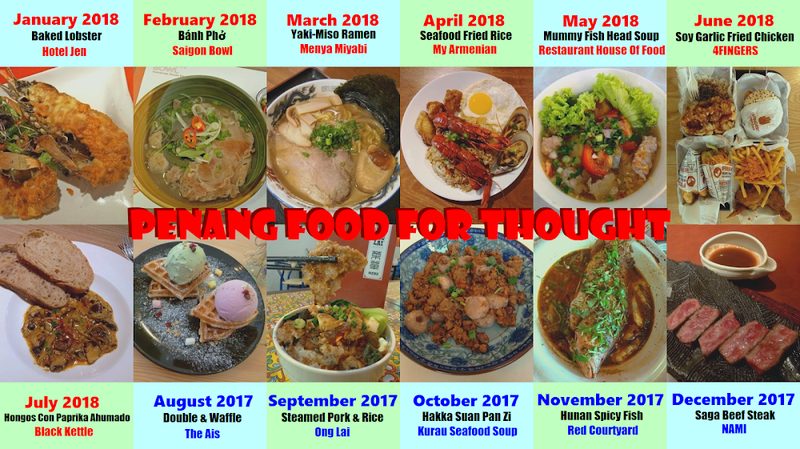 To keep things new and exciting, the buffet theme is revised every 2 months. 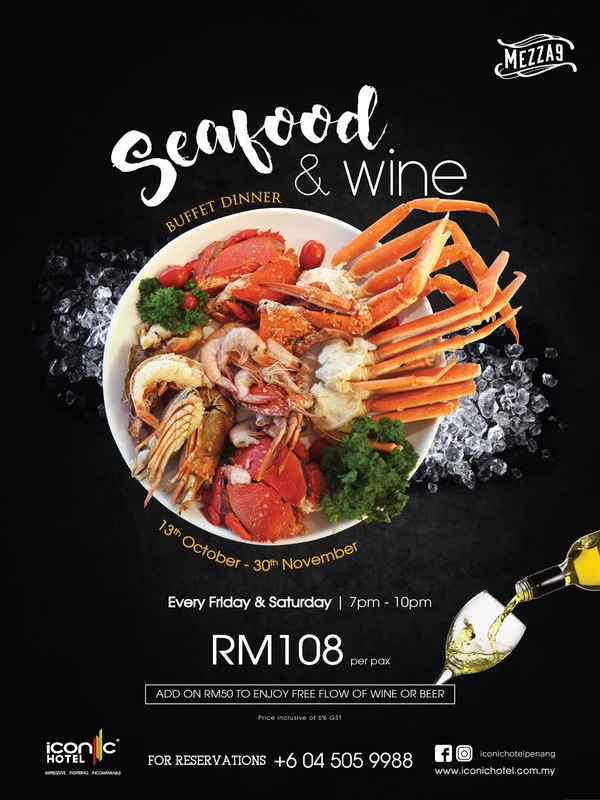 Following the Taste of Nyonya Buffet Dinner, Mezza9 is switching to the Seafood & Wine Buffet Dinner to take advantage of Malaysians' infatuation with seafood. 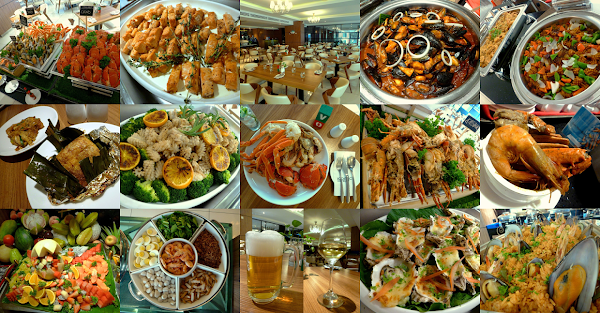 There are dozens of seafood dishes that cover cooking styles from Malay, Chinese, Western, Japanese and Thai cuisines. Seafood on ice is the most popular section of the buffet line. Large cooked lobsters are chilled over a bed of ice. The lobsters resemble shrimps in texture but have substantially more flesh than their distant relatives. Alaskan snow crabs, Australian spanner crabs and New Zealand green-lipped mussels are several more marine delicacies this evening. Such seafoods do not come cheap, so diners can easily justify the buffet's value for money. Flower crabs are a local catch but they do not have as much flesh as their foreign cousins. Also served over ice are large shrimps, smoked salmon and smoked tenggiri (Spanish mackerel). Although condiments like Tabasco sauce and lemon wedges are provided, I think these chilled seafoods can also benefit from homemade dressings like cocktail sauce and lemon aioli. Moving on to sashimi (刺身), raw fish are sliced upon request in order to maintain freshness. Choices available are salmon (サケ), butterfish (イボダイ), tuna (マグロ) and octopus (タコ). Wasabi (山葵) and soy sauce (醤油) are condiments to go with sashimi. In addition, there are also Japanese pickles (漬物) like takuanzuke (沢庵漬), shibazuke (柴漬) and fukujinzuke (福神漬). The action counter prepares griddle-fried seafoods such as Portuguese Baked Fish. Butterfish is used here, but I think its texture is not the best choice. Nevertheless, the pleasant Portuguese-style seasoning is the saving grace. The fish is cooked in banana leaf and aluminium foil to retain its natural flavor. In addition, diners should also try some Fried Oyster Omelette (蚝煎). Seafood Paella (Paella De Marisco) is a popular dish in Spain especially in the Valencian region. The rice is quite tasty on its own thanks to the presence of seafood broth. Served with this dish are New Zealand green-lipped mussels and shrimps. Oysters Au Gratin are served with their shells - at least half of them - intact. This French recipe covers the oysters' flesh with a layer of golden crust. The crust consists of bread crumbs and cheese. Coriander and tomato serve as garnish. The next dish, Braised Mussels In 3 Flavors (Kupang Tiga Rasa), is a local fare. Bay mussels are cooked in a special sauce known as "Tiga Rasa", which is a combination of sweet, sour and spicy flavors. Native to the North Pacific Ocean, bay mussels are smaller than their southern counterparts. One of the most popular cooked dishes this evening is Deep Fried Soft Shell Crabs With Garlic Aioli. Japanese blue crabs are used. The crabs have recently discarded their old shells and their new ones have yet to harden. Therefore, the crabs are soft enough to be eaten entirely. Soft shell crabs are often served in Japanese restaurants to make sushi (寿司) and temaki (手巻き). Braised Flower Crabs In Spicy Coconut Milk are blessed with appetizing tanginess of pineapples. The flower crabs are only mildly spicy as coconut milk tones down the sharp taste of spices. Baked Salmon With Pink Peppercorn Sauce is cut into bite-size pieces for the convenience of guests. The salmon is served in creamy sauce and is garnished with rosemary twigs. Grilled Calamari With Lemon Garlic Rosemary is cooked just right so that it becomes reasonably tender without becoming too leathery. Tender pieces of squid are presented with broccoli and grilled lemons. The latter imparts some tangy citrus taste. At the meantime, rosemary leaves lend their distinctive aroma. Inspired by a similar poultry dish, Kong Po Squid (宫保鱿鱼) is stir-fried with onions, bell peppers and dried chili peppers. Meanwhile, Stir Fried Nestum Prawns (麦片虾) are coated with a crispy layer of multi-grain cereals. Hailing from the north, Tom Yam Gong Soup (ต้มยำกุ้ง) is a wildly popular Thai dish. Its main appeal lies in the soup's sour taste, which is primarily contributed by kaffir lime. The tantalizing soup is also loaded with flower crabs and large shrimps. If this Thai soup is too spicy for you, go for the Seafood Chowder instead. Lok-Lok (乐乐) is a local street food for which diners do their own cooking. There are several types of skewered items such as shrimps, octopus, cuttlefish, fish balls, shiitake mushrooms, bak choy (小白菜) and more. The skewers are dipped into boiling water until the food becomes cooked. The noodle station provides several seafood-based soups for local favorites like prawn mee (福建面), scallop soup (干贝汤) and asam laksa (亚参叻沙). Diners can also pick their own ingredients such as shrimps, fish balls, fishcakes, hard-boiled eggs and fried onion. Noodle choices are yellow noodle (黄面), koay teow (粿条) and thick rice noodle (粗米粉). This evening's buffet features three types of cheese: cheddar, brie and blue cheese. A basket of fresh bread is meant to go with cheese. In addition, there are also apricots, blueberries, cranberries, raisins and crackers. Moving on to confectionery, there are over a dozen types of French pastries to choose from. The cakes are presented in small portions for guests' convenience. Apart from cakes, there are also a number of tartlets and fruit jellies to satisfy everyone's sweet tooth. The chocolate fountain is particularly well-received among children. Ladyfingers (savoiardi), marshmallows, apricots and grapes are provided to take advantage of the rich chocolate sauce. The desserts section offers a colorful variety of cut fruits like pitaya (dragon fruit), honeydew, papaya, watermelon, orange, starfruit and strawberry. 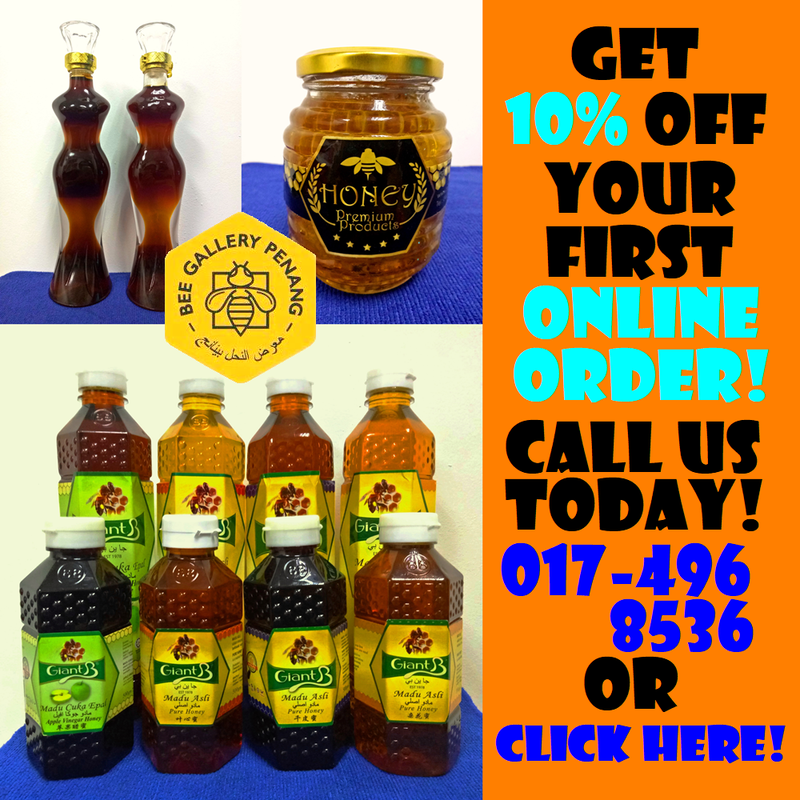 As for drinks, there are coffee, hot tea, teh tarik (pulled tea), iced lemon tea and lychee cordial. Iconic Hotel's Seafood & Wine Buffet Dinner is offered for the months of October and November 2017. Dinner is served between 7:00pm and 10:00pm on Friday and Saturday evenings. The adult price is RM108.00 net. Children and senior citizens are entitled 50% discount. Citibank, Maybank and CIMB credit card holders enjoy 25% discount off the adult rate. For an additional RM50.00, each diner enjoys an endless flow of beer or wine (either one). It is truly gratifying to sip cool beer between rounds of seafood. The waiting staff ensures that the mug stays bottomless. If beer is not your cup of tea, wine is a good alternative too. White wine pairs well with seafood, but red wine is also available upon request.